Sweetly B Squared: Disney Junior LIVE on Tour!! - Next Week! 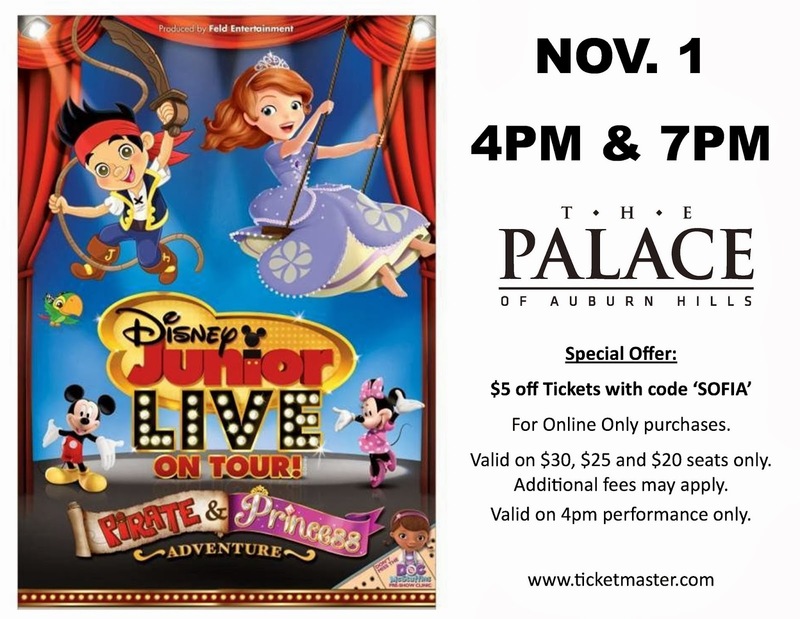 Disney Junior LIVE on Tour!! - Next Week! Next up? Disney Junior LIVE on Tour - Pirate & Princess Adventure is playing for one day only. It's next Friday, November 1 at the Palace of Auburn Hills. I've heard the 7PM show is rapidly on its way to selling out, but you can still get tickets online for the 4PM show and save $5 by using code SOFIA at www.ticketmaster.com. The show is on a Friday, but I know our school district is closed that day. What about yours?